When Gmail was first released, people did not think too much of it. People did not think that this would be the application that people will find very important. 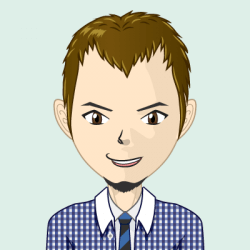 It was thought to be different because it gave away more storage as compared to the other email applications at that time but it is only when it started to become more innovative that people actually took notice. It did not happen overnight but Google made it a point to create something that will be ready to use by people. They have acquired Writely, an app wherein people can write online. If you are wondering why you have not heard of this app before, it is simple – it has become Google Docs now. Aside from this, Google started to have different applications that they called Google Apps for Your Domain. This is obviously too long and they figured that people will have a hard time remembering what this is. They rebranded and changed the name to G Suite. G Suite has been created with safety and security in mind. There are some unique threats in the cloud system and these are known by the Google team. You can expect that the knowledge and expertise of people regarding these security threats are addressed and prevented. 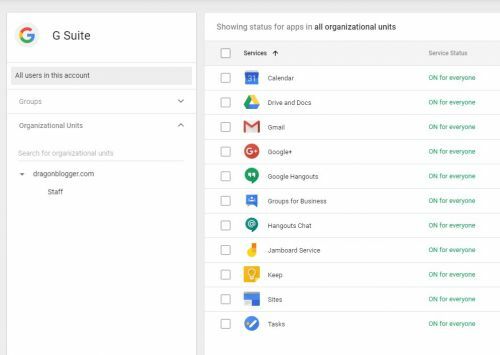 G Suite apps need to be fully protected because they contain important data and information that will be unique to the company. G Suite backup is necessary but how will this be done? You can fully have control with your settings whether for the apps or for the whole system. Spinbackup will make this possible. You can protect potential data loss that might cause problems with your business. Their Disaster Recover Plan will make sure that you have proper cloud storage if in case your main data storage breaks down. This can also offer proper ransomware protection for proper monitoring. G Suite backup can be made possible with the use of Spinbackup. This is a tied down version of all of the apps that you may need for your business. There is a big possibility that you use if not all of these apps on a regular basis. Do you use Gmail every day? If yes, then you are definitely using one of the apps that are part of the G Suite. It is not surprising that a lot of business owners make use of the G Suite. They do not see the need anymore to purchase separate software and programs when they can have everything that they need to manage their business with G Suite. The applications are not expensive to have and you can also have complete control of the branding that you are going to create for your business. How many of these applications do you use regularly? Are you using Gmail as your main email even for your business? Some say that they find this easier to control and they are already familiar with its simple interface. People also use Google Drive whenever they would like to store some large files. Why should you store your files on your hard drive when you know that they can be protected at Google Drive? You will have more space for the programs that you need in your device. Google Docs will be similar to the office provided by Microsoft. The only difference is that you can do everything online. It is evident that all of the applications that are included in G Suite come with their own functions. Most of these can be vital for your business. It has been announced that Google+ will be removed though because of the lack of users. It seems that businesses do not really use this application since there are other non-Google options that are available. The rest of the apps are used by people from time to time. What Makes G Suite Great? There are a lot of people who use G Suite for personal and business use. What makes this the choice of a lot of people? It may be the fact that this is built for collaboration. Let us say that you want to share your ideas with some of the people from your team. You can upload the needed document or file and share it with the rest of the group. There is no need to send them an email one by one. You can have an open file that they can also access no matter where they are. Just imagine how convenient this is. The set up of the G Suite is simple and it also helps that administrating this is very easy to do as well.